In fact, you can describe the process of creating digraphs in a digraph itself! From here I did what any self-respecting geek would do - write a disassembler for the Z80 chip, retrieve the ROM image from a ZX81, create nodes for each Z80 instruction in the ROM, collapse the nodes that didn't get interupted by jumps, and build a digraph from that! 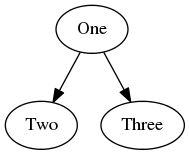 As you might have guessed, recursion lends itself very well to this type of graph. Obviously, recursion only gets you so far. Specifically, it gets you as far as your stack will allow! Therefore, we now support a non-recursion version where your function must 'request' each new item to be generated. Your function is then called to generate a new node, and return it to the library. 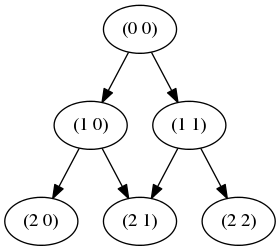 Here is the same Pascal's triangle example, using this mechanism. 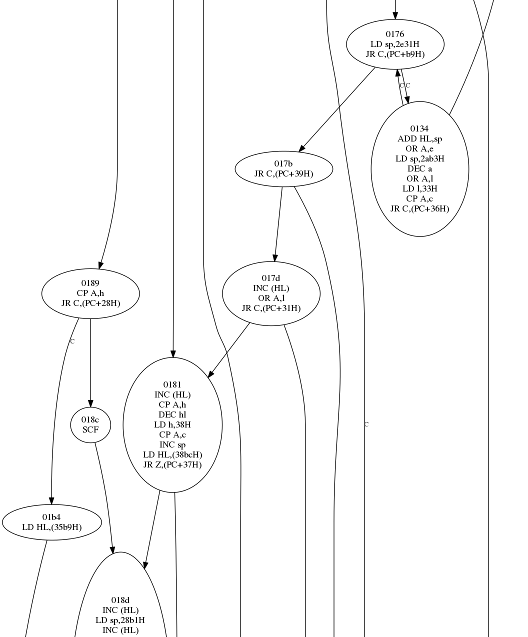 Since I don't want duplicate connections (or nodes containing the same data) I use checks to prevent this via findOrAddNode and isConnected. Unfortunately, the deal never happened. 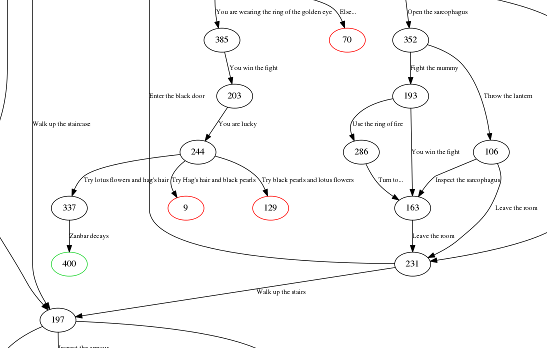 So, on a quiet Sunday morning, I decided to build a digraph of the entire game world. Click on the image below for a full (very large) version! 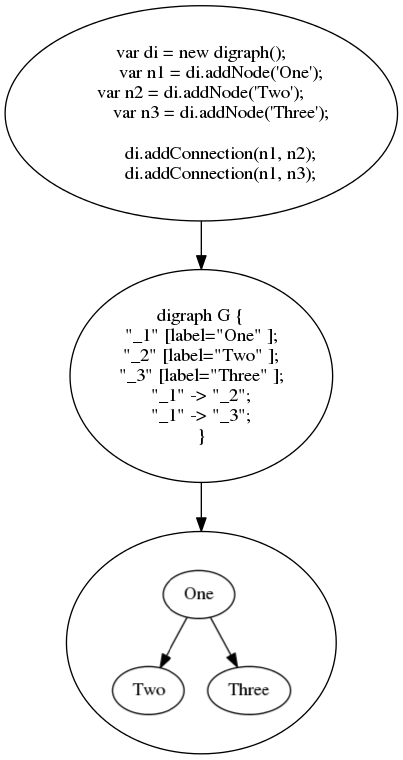 Digraph in a digraph, in a digraph... - 8 levels deep!